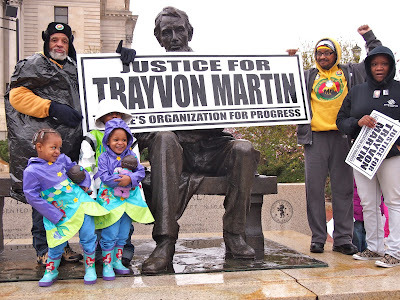 “We want President Obama and Attorney General Eric Holder to launch a federal investigation and bring civil rights charges against George Zimmerman,” Larry Hamm, NJ state chairman of the People's Organization for Progress. When the usual "hard-core" 18-25 People's Organization for Progress members and supporters who begin every rally or march became a spirited picketline of more than 50 nearly an hour before an event is scheduled to begin, you know that the event answers a felt need in the community. 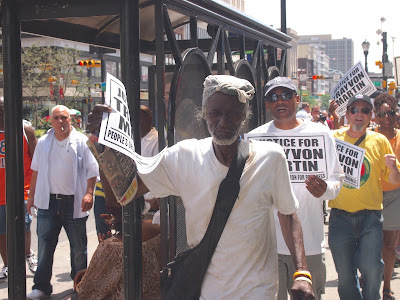 When the picket demanding Justice for Trayvon Martin at the intersection Broad & Market in downtown Newark on Sunday quickly filled up the entire sidewalk on one side of the intersection, Newark police practically begged POP to take it to the streets! Before 3:00 PM, nearly 500 marchers were lined up on Broad Street to march down to the Federal Building. By the conclusion of the march and rally, the Newark Star Ledger estimated 700 participants, so I would suggest that 1,000 marchers is probably a conservative evaluation (see Hundreds Rally in Newark… for the Star Ledger's report on Sunday's march and rally). Reflecting on the NAACP's call for federal Civil Rights charges, People's Organization for Progress has a bit of experience with the strengths and weaknesses of this tactic. 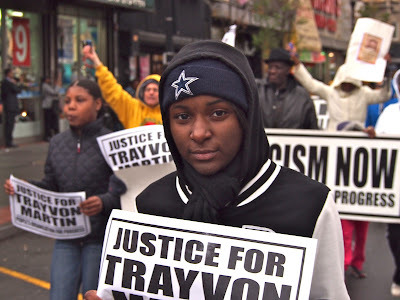 In 1999, when the State of NJ refused to even consider prosecuting the Orange, NJ police officers responsible for the murder of aspiring rapper Earl Faison (in what the Federal Prosecutor would later refer to as a "stairwell of torture" in the Orange PD building), the only option available was charging the officers with violating Mr. Faison's civil rights. Remember, that judicially, murder, manslaughter and homicide are state crimes. There is no federal equivalent, so the closest to justice that the Faison family could hope for was that a literal conspiracy of wilding by the cops would result in a few short jail terms. Similarly for the family of Trayvon Martin, a federal civil rights conviction against George Zimmerman simply means he is not blameless, as the acquittal in Sanford court indicates the jurors believe. 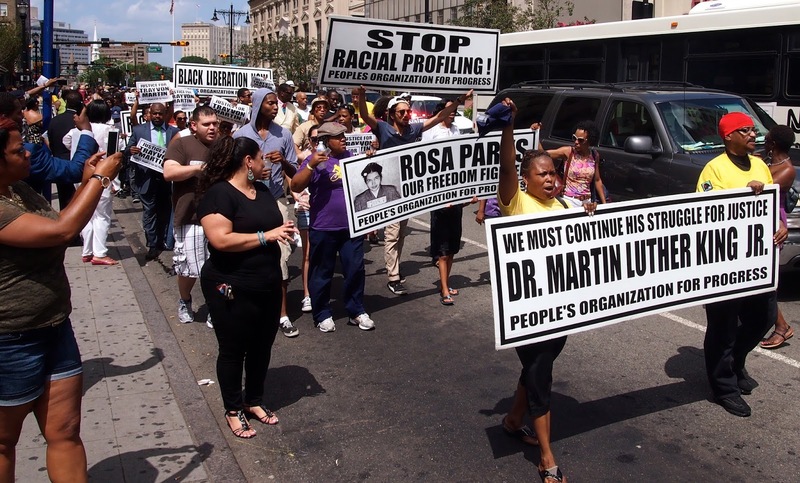 A greater victory, more justice for Mr. Martin's family would probably be the repeal of racist "Stand Your Ground" laws in Florida and throughout the US.